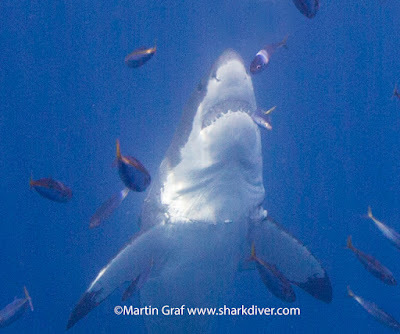 Home / Industry Blog / What ‘s hurting the Great White Sharks at Guadalupe? We are coming towards the end of another great season at Guadalupe Island. 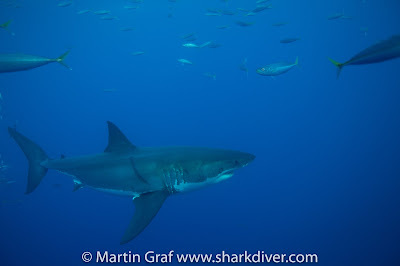 Just like last year, we added a lot of new sharks to the photo ID database and saw a lot of our regulars that came back. 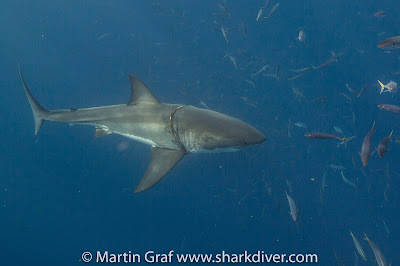 We definitely see an increasing number of sharks, specially for sharks in the 10-12' range. 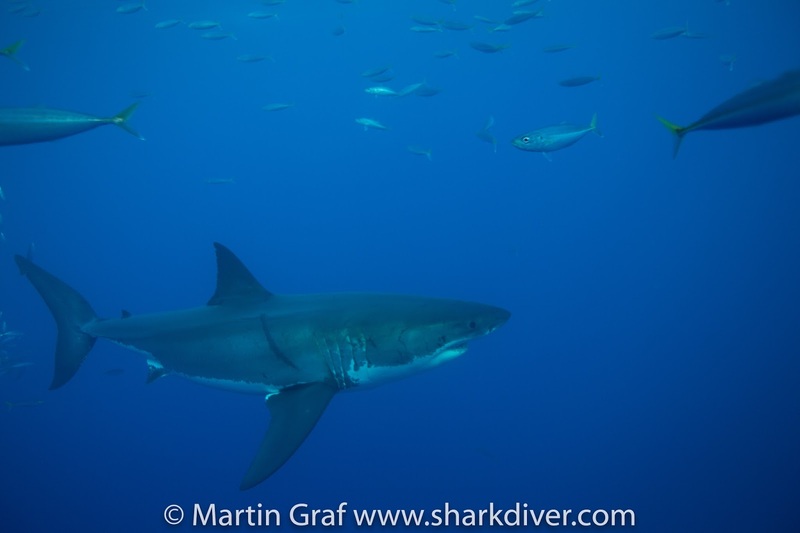 It's great to see that conservation efforts seem to have a positive impact on shark numbers. We regularly see in excess of 20 different sharks on our expeditions, a huge increase over 10 years ago, when we were lucky to see 10 and often went whole days without seeing a single shark. 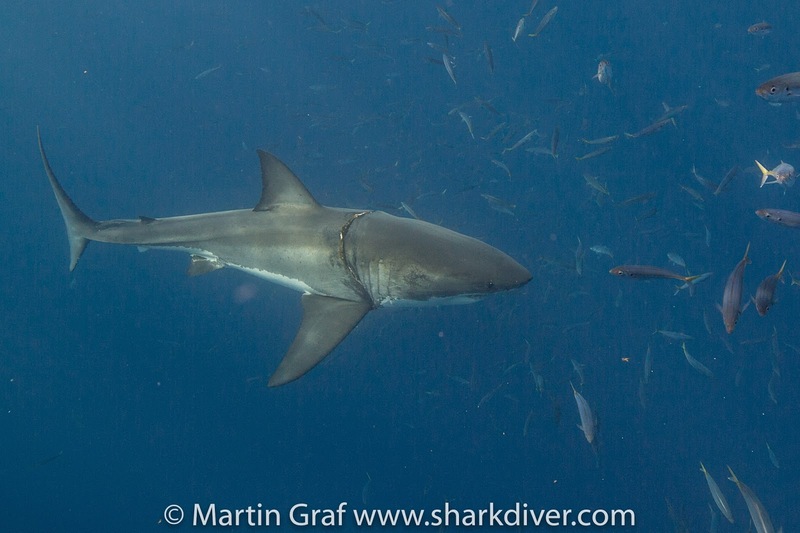 One thing that I noticed though is the increasing number of sharks with injuries caused by ropes or fishing gear. A couple of years ago it was "Luca" that swam around with a rope around his body. Luckily his rope was cut and he's doing fine. There is just a black scar left that will disappear in a year or so. 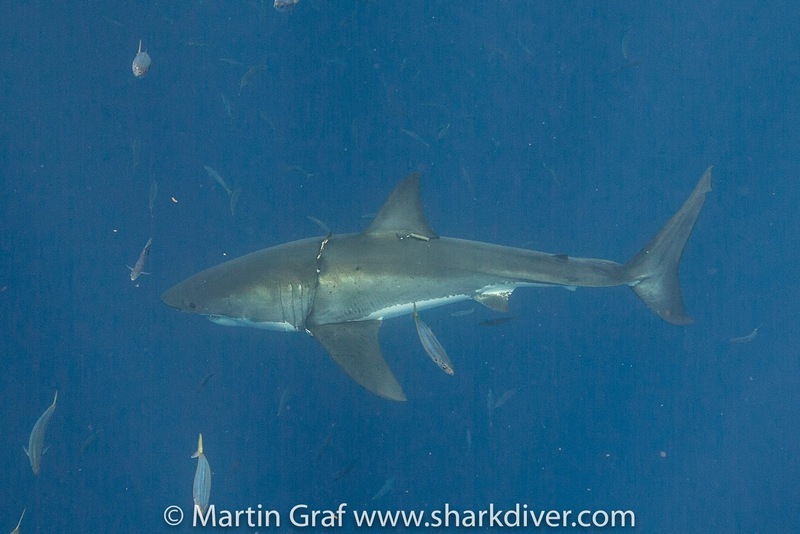 Her underside shows a faint scar from the rope that was digging into her. 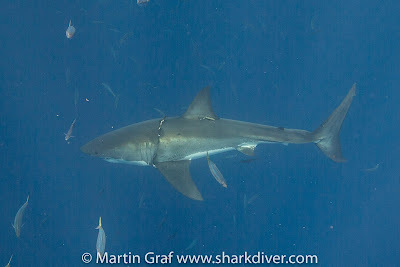 (It' kind of hard to see, just in front of her pectoral fins) The rope goes around her head and into the bottom of her gills on both sides, so it looks like the rope is still inside and the wound has closed around it. She must have gotten that rope wrapped around her quite a while ago, for it to be completely embedded.